Just wanted to share some pictures of our home once again. 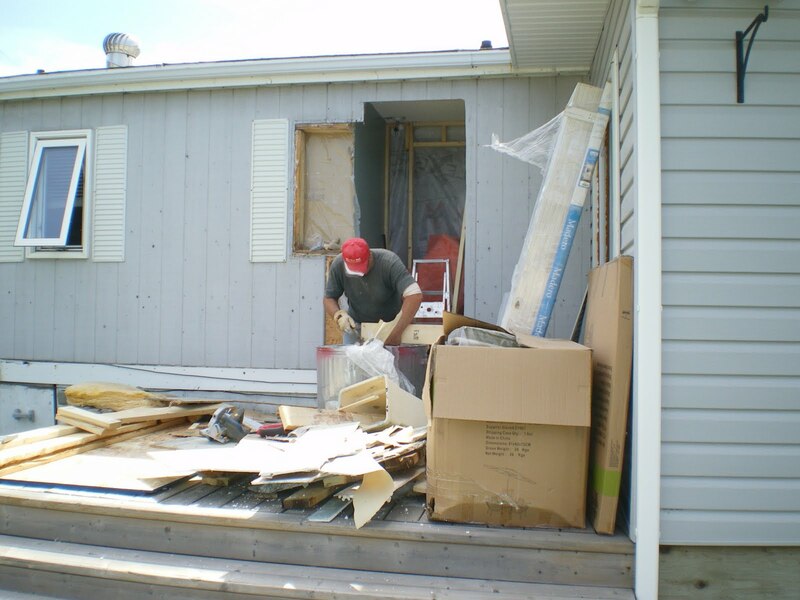 What once was just a wall from the outside, is now going to become a door onto our back deck.On the inside there was a storage closet, where Gerry is standing in the picture. We currently have unusable patio doors in Erika's room that used to get us out onto the deck. 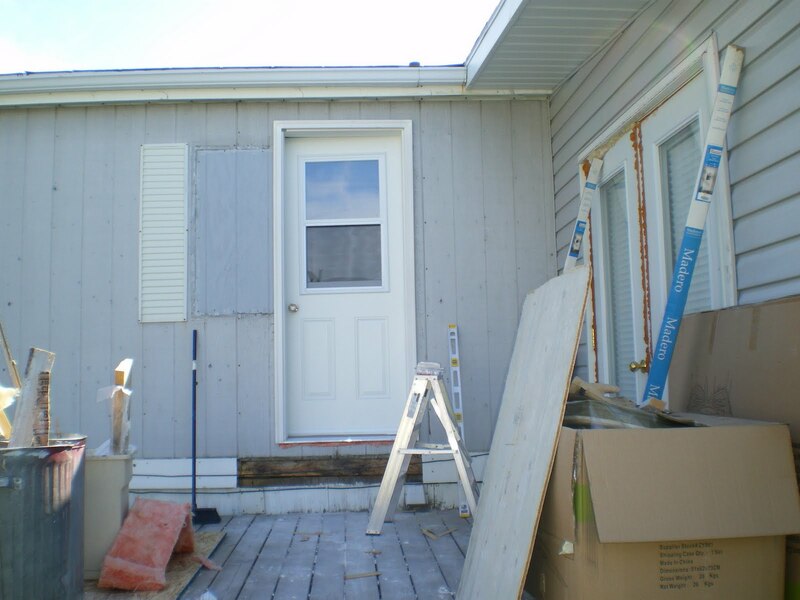 In a few days, Gerry will be getting rid of those as well and replacing the doors with a smaller window. I had to get him to hang up a sheet of plastic on the inside as we were getting bugs in here and I HATE bugs in my house. I'll keep you all updated with photos as we are doing some updating with the deck as well. Great to have a way out.. !! and great your husband is so good at this. 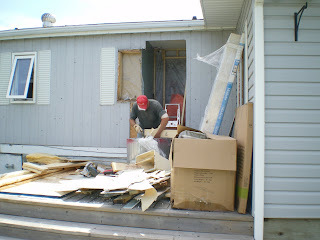 Yes- hubby to be.It's just that he's doing all these renos and it's so hot here now that he's been sweating buckets!